I’m not sure how I came to this point in my writing career, but if I don’t post a review of a new Taylor Swift single post-haste, a clamor arises. Maybe it is because whether I am giving her credit for the death of country music or proclaiming she’s the last bastion of real music in popular culture, Taylor Swift is accountable for my most inspired writing. I’m still not sure how I feel about that. Since we last spoke about Swift, it’s been a little tough on the country princess. “We Are Never Ever Getting Back Together”, though breaking records in the Top 40 world, was received with quite a few jeers in country by critics and fans alike wondering if Swift will ever mature and why it seems every one of her songs is about a breakup. Country also may have felt a little slighted by getting the other version of the song, with the primary mix being released to pop. So what better way to remove the bad taste for country fans than to release a new single on the other side of the spectrum, and that’s what we have with “Begin Again”. Though on the surface this song is positive and about renewed love, Taylor Swift still gets her characteristic jabs in at old flames: “He didn’t like it when I wore high heels, but I do.” “He always said he didn’t get this song, but I do.” “I think it’s strange that you think I’m funny cause he never did.” But overall, it portrays the seldom seen, other side of Taylor Swift in a sweet little song that works, but probably isn’t a world beater or a mega hit waiting in the weeds. Many are wanting to tout how country “Begin Again” is. But let’s be honest, it’s only country when compared to Taylor Swift’s other works. On that sliding scale yes, with some steel guitar and mandolin (though fairly down in the mix and dilluted with strings) this is the Johnny Paycheck of Taylor Swift’s lexicon. But in the grand scheme of things, it is still solidly pop country. What I found more intriguing was the way the verses seemed to melt into the chorus instead of a big, obvious transition which is the norm these days in most popular music. In the same respect, this smooth transition also gives the song a bit of a soft, placid feel that doesn’t overtly grab you, though after multiple listens, I found myself being engaged and falling however slightly for the mood and message Swift was wanting to convey. The pentameter of the lyrical hook “On a Wednesday, in a cafe” is fairly fetching I guess. I don’t know that I like getting these new Taylor Swift songs piecemealed out to me. I’m ready for her new album Red to be released so I can have the full run of the experience. I also don’t know that I like that others songwriters were used for these compositions, though apparently “Begin Again” Swift wrote by herself. Whether it was a good or bad idea we shall soon see, but it would be a lot more fun, a lot more revealing to see what Taylor comes up with raw; a true look into her musical soul for better for worse. At this point what we have is a wash. A good song, a bad song. A pop song, a country song. A happy song, a sad song. And we really don’t have much more intel on what Red will be than what we started with. Certainly less poppy than her usual fare, but definitlely not a country song- I would say it’s Americana. Not bad, but not great. I can appreciate the lack of bubblegum aesthetic, though. Maybe I’m too old, but this song doesn’t feel rootsy enough for me to identify it as Americana. Maybe “young adult contemporary.” Also, I think this type of song is an example how I think her music can be a gateway for younger people to some deeper Americana artists (e.g., Patty Griffin, Gillian Welch). Nice enough song. Also, agree with the “applreciate lack of bubblegum aesthetic” comment. Yeah, that’s kind of what I meant. Americana is such a broad definition, and this reminds me a lot of some of the female Americana artists that I like- Tift Merrit, Gillian Welch, etc. Not country, but country elements in a singer/songwriter style. Not a country song? Seriously? So we can firmly say then that nothing on the radio qulifies as country these days. Because this song i sounds more country than anything i have heard this year. Song is amazing, Taylor is amazing. Only artist in mainstream country music industry who is capable of creating beautiful/relatable music all by herself. Don’t get me wrong, I appreciate that Taylor is making an effort to add more country elements to her songs. But let’s call a spade a spade, It is country pop, which doesn’t necessarily mean it is bad. And from the perspective of people who complain that Taylor is too pop, this is encouraging. 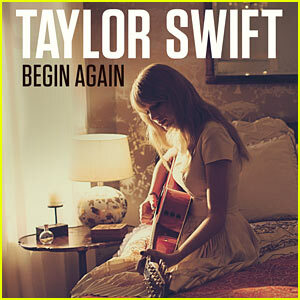 Taylor wrote “Begin Again” alone. Nathan Chapman, Dann Huff and Taylor handled production duties. I’m not crazy about the involvement of so many co-writers on the album either (although ten out of sixteen songs have solo Swift writing credits). The mention of co-writes was not necessarily about this song, more a general take on the album. I did not know that Swift wrote the majority of the songs. From what she seemed to imply at the “Red” press conference, most, if not all the song were going to be co-writes. Her writing the majority of the songs I think is good news. Taylor said in an interview that six songs on the album are co-writes, while the remaining 10 a written only by her. If I recall correctly she wrote this one on her own. I like her solo writes more than her collaborations to be honest. They may be less catchy and radio friendly (speak now really lacked major hit singles and I think this was because she didn’t have collaborators editing down the songs like on Fearless), but they feel more like her own work. It’s easier to track her progression and maturation as a songwriter when she isn’t being drowned out by someone else’s voice. WANEGBT was okay for a pop anthem and got her her first Hot 100 #1, but it was such a Max Martin/Shellback song that I would have thought it was Avril Lavigne if I didn’t know better. There were only a few lines here and their that sounded like Taylor. This is much more like what I was expecting and hoping for from Red and I am crossing my fingers there are more songs like this. I couldn’t agree more, and these were the points I made in my “We Are Never Ever Getting Back Together” review. If Taylor Swift wants to be a leader in music and have her music sustainable in the long term, she need to follow her own trends, get in touch with her own voice. As “We Are Never” proved, co-writes might be good for short-term commercial success, but they will typecast her as a commercial artist with no substance. Co-writes are not always a bad thing. Taylor Swift’s co-writes with Liz Rose in her debut album and Fearless included some of her most substantive and musically beautiful songs to date. The important thing is co-writing with someone who understands and can compliment Taylor’s style. Liz Rose was exactly the right person for that task, and Max Martin and Shellback are exactly the wrong people for it. Nothing special about this song, but when compared to Never..Ever..Ever it certainly is a pleasant listen. If Begin Again is a better representation of the rest of the album, then I don’t think I would have any problem saying this record will be a better-than-average offering coming out of Nashville. trigger do you like jackson taylor? i have no clue how they aren’t on the big stage like rascal fagsï»¿ & kenny chesney. but that aside would love to party with the guy. I would rate this as one of Taylor’s better songs. It seems like a mellower version of “Ours”. It’s not quite as musically interesting as “Ours” or as great as “Dear John” or “Never Grow Up”, but it conveys the emotion of the situation very well. It definitely restored my hopes for this album after the harsh disappointment of WANEGBT. One instrument that Taylor has used in the past but not in many of her recent songs is the fiddle. On her debut album, some of her best songs (e.g. Tim McGraw, Cold as You, and Tied Together with a Smile) featured the fiddle prominently. This added a real layer of wistful and nostalgic texture to these songs, and made them sound truly “country” (at least by the standards of country radio; those songs were definitely more “country” than the vast majority of songs on country radio currently). Unfortunately, I have not heard fiddles being featured to any significant extent in her past two albums, expect in “Mean” and “Come in with the Rain” (from the Fearless Platinum edition). I’m very glad that it has made a comeback in “Begin Again”. Hey Trigg… I feel the same as you when it comes to Taylor.. I think… Of everybody on the radio, she is the only one I have the urge to turn it up… She is unique in that she is part of the problem aka nashville but she is the a step in right direction to finding a cure.. she has credibility because she writes most of her own stuff…. I don’t call myself a Taylor Swift fan and I honestly don’t attempt to push her music. I’m more a Taylor Swift apologist and someone intruded by her career. I’m a music fan first, and a country music fan second. And I’d rather listen to something that is real rather than something that is marketed as “country”. Even though Taylor Swift may not be country, she’s herself, and that’s makes her better than most of the other stuff flying the country flag these days. I think she would be a great songwriter for a band, but that is it. I can’t stand her music because it seems to be the same thing over and over again.